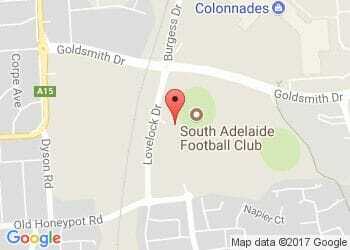 The South Adelaide Football Club wishes to advise members that the Annual General Meetings for the South Adelaide Football Club Inc and South Adelaide Footballers Club Inc will be held in the Peter Darley Function Room at Hickinbotham Oval from 7pm Monday 12 December 2016. Finance Director - 3 Year Term: who preferably has skills and experience in accounting and financial management. Football Director - 3 Year Term: who preferably has skills and experience in the playing of football and the management of football players. Nominations are open for candidates for the above positions. To be eligible, you need to be a financial member of the South Adelaide Football Club as of 31st October 2016. To notify your interest, please contact the Chief Executive Officer via reception to arrange for a nomination form to be forwarded. You will be required to ensure that two financial members sign your nomination form. Nominations close 5pm Friday 25th November 2016. For further information, please contact Shannen Hiern on 8186 8200 or shiern@safc.com.au.